A person suspected of committing a crime has many rights in the United States. The right to remain silent, the right to a lawyer and the right to a public trial by an impartial jury are just a few of the protections guaranteed to anyone accused of a crime. These and other rights can be waived if the defendant so chooses. At the law offices of John W. Callahan, Ltd., we help our clients understand their rights. We aggressively protect our clients' rights throughout the criminal process. 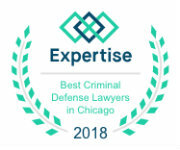 We have decades of experience helping clients throughout Illinois, as well as in state and federal courtrooms across the nation. Call 1-877-335-6697 or contact us online to discuss your situation. We offer a free case evaluation. A key decision that must be made in every criminal case is whether to enter into a plea bargain or proceed to a trial. This decision should not be made lightly. Many lawyers, when confronted with a difficult case, will advise their clients to plead guilty. We consider it our duty to carefully examine your case from every angle. We use our experience to find the best way to defend you. Prosecutors are able to put a tremendous amount of pressure on an accused person to convince them to plead guilty. They do this, because they know that the burden is on them if the case goes to trial. They are required by law to prove every element of the case against you. They must investigate the case, produce witnesses and convince a jury of your peers that you are guilty. This is not easy and it is not cheap. To avoid this, they will likely offer you a plea bargain and threaten you with a much stiffer penalty if you go to trial. The police are not on your side. Prosecutors are not on your side. They are not required to treat you fairly throughout the process. They can threaten you with charges they have no hope of proving while offering you a “bargain” that is more than they could ever get at trial. 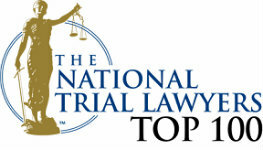 It takes an experienced and knowledgeable attorney to know when an offer is fair and when you can win at trial. Pleading guilty can have serious consequences that will affect you for the rest of your life. You need to know your options before making such an important decision. We defend clients against any type of criminal charge. Whether you need a Chicago DUI defense lawyer, or defense against drug charges in Schaumburg, we can help you. Call 1-877-335-6697 or contact us online to speak with an experienced lawyer right away.